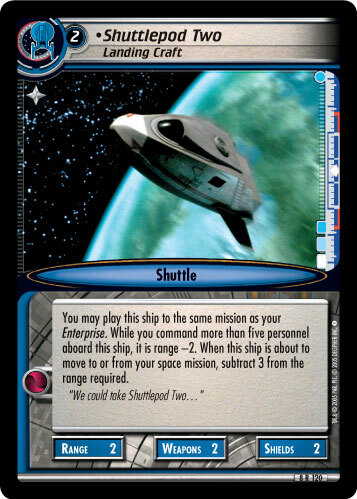 You may play this ship to the same mission as your Enterprise. 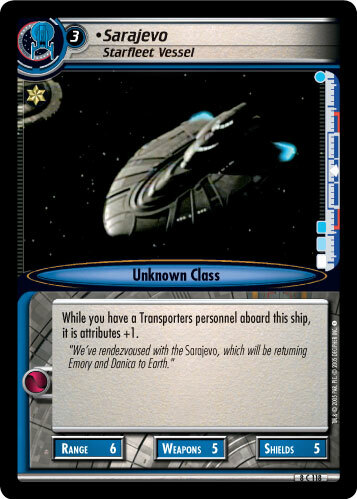 While you command more than five personnel aboard this ship, it is Range -2. When this ship is about to move to or from a mission where you have a ship, subtract 2 from the Range required. 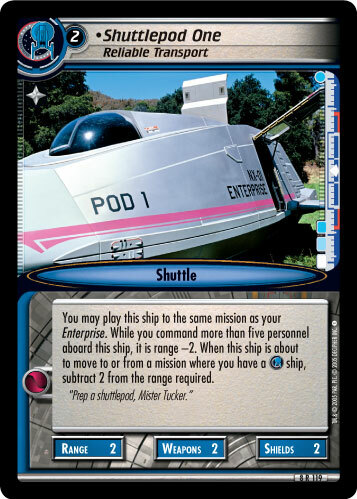 "Prep a shuttlepod, Mister Tucker."